Welcome to the Hyannis Rotary Club Website! The Community Development Committee has announced the Rotary Club of Hyannis Community Development Grants for 2019. The Human Development Committee had announced grant recipients for 2019. 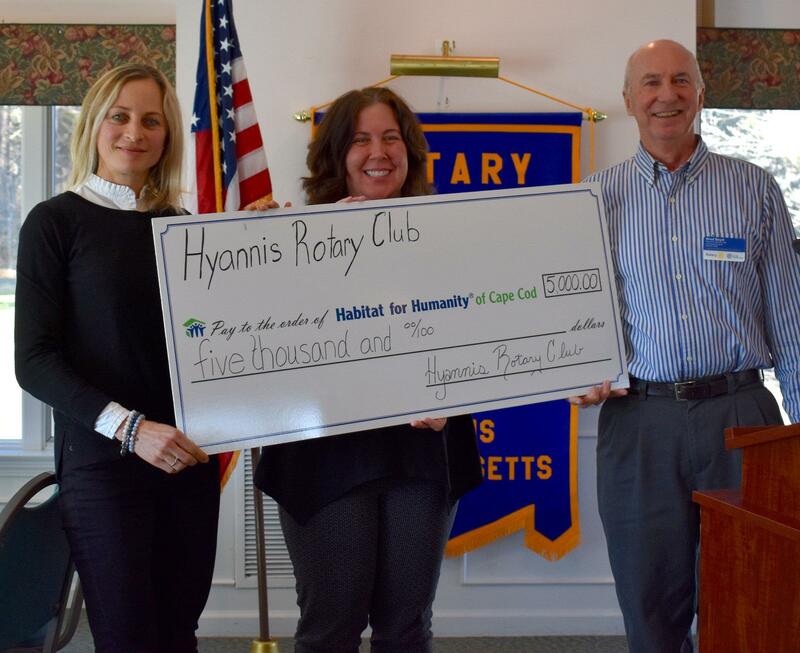 Rotary Club of Hyannis is honored to present our $5,000 donation toward Habitat for Humanity of Cape Cod! Thank you Brad Boyd and Wendy Cullinan for joining us on January 31 and for your dedicated services and contributions within our community. The Rotary Club of Hyannis is requesting financial grant proposals from area 501(c) (3) non-profit organizations for consideration by its Community Development Committee and Human Development Committee for submission in January 2019.